Step Up For Students was created to help alleviate the enormous educational challenges faced by children in Florida who live near poverty. The program provides Tax Credit Scholarships to students in K-12 who come from low-income families. These scholarships allow the students to consider a private school that may better suit their individual needs. This choice is not based on whether the public school is judged as succeeding or failing. Rather, it recognizes that different children learn in different ways and that our collective struggle is to help the students who often are at the greatest disadvantage in modern education. Click here for more information and to register for scholarships with Step up for Students. The Gardiner Scholarship program helps parents individualize the educational plans for their children with certain special needs. The scholarship allows parents to personalize the education of their children with unique abilities by directing money toward a combination of programs and approved providers. These include schools, therapists, specialists, curriculum, technology – even a college savings account. Click here for more information and to register for the Gardiner Scholarship. Florida’s school choice programs ensure that no child will be left behind by allowing parents to choose the best educational setting—public or private—for their child. The McKay Scholarships for students with Disabilities Program provided over 20,500 Florida students with special needs the opportunity to attend a participating private school during the 2008-09 school year. The Basilica School is a McKay Scholarship provider. Because of the many differences among children with disabilities, a screening interview is required before a student is accepted. This screening allows the parents and school to decide the best learning environment for each child. Please call the school at 305-294-1031 to schedule a screening. Click here for more information and to register for a McKay Scholarship. 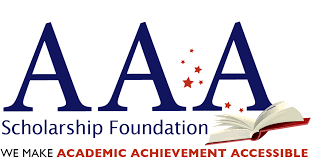 The mission of the AAA Scholarship Foundation is to Provide Economic and Other Assistance to Economically-Disadvantaged Families and Families of Disabled students to Enable Them to Select the Best Schools for Their Children. Click here for more information and to register for a AAA Scholarship.